SpaceX's Dragon cargo spacecraft returned to Earth from the International Space Station (ISS) on Monday, bringing back the first Chinese experiment ever to visit the orbiting laboratory. The unmanned spacecraft splashed down in the Pacific Ocean at 8:12 a.m. EDT — about five hours after leaving the space station. 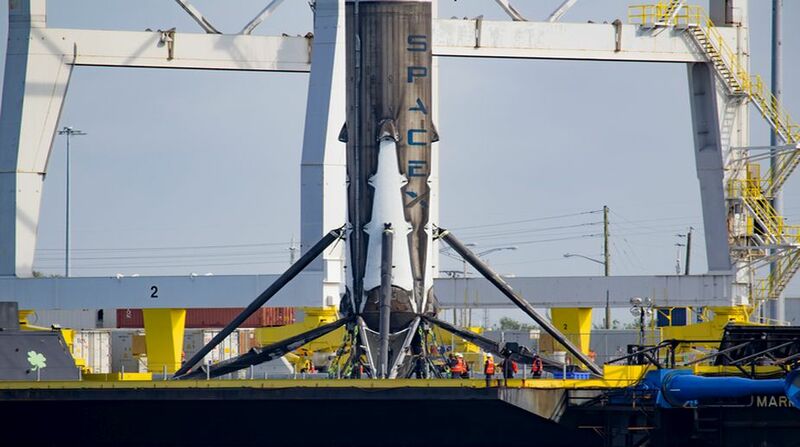 It wrapped up SpaceX's 11th contracted cargo re-supply mission for the US space agency NASA, Xinhua news agency reported. "Good splashdown of Dragon confirmed — completing first re-flight of a commercial spacecraft to and from the @Space_Station," the California-based company tweeted. Dragon is returning more than 1,860 kg of cargo, including science samples from human and animal research, biotechnology studies, physical science investigations and education activities. One of the science samples was the first-ever Chinese experiment brought to the space station, which is fully commercial, under an agreement with Houston-based NanoRacks, which offers services for the commercial utilisation of the orbiting laboratory. The experiment from the Beijing Institute of Technology was aimed at studying the effects of the space radiation environment on DNA and the changes in mutation rate. "Everything went according to our plan. All the data sent back looks good," Professor Deng Yulin, who led the Chinese experiment, was quoted as saying. Deng said he will soon fly to Florida, where a ceremony of transfer of the experiment between NanoRacks and his team is scheduled for Friday.